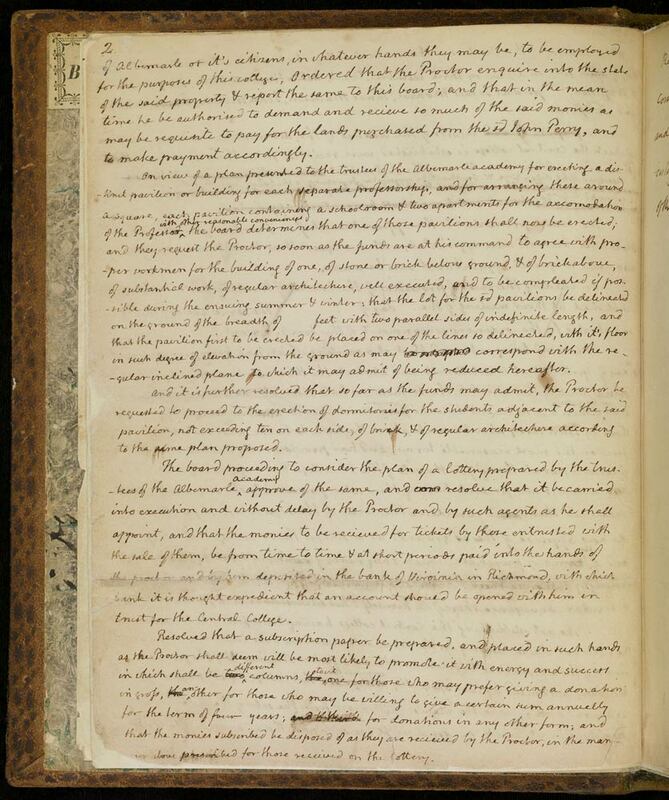 In February 1816, Virginia’s General Assembly approved Thomas Jefferson’s plans for Central College, the precursor to UVA. Just over a year later, the college’s Board of Visitors met for the first time, on May 5, 1817. Jefferson had assembled an impressive group, including United States presidents James Madison and James Monroe, along with Gen. John Hartwell Cocke, David Watson and Joseph Carrington Cabell (Watson and Cabell were absent at the Board’s initial gathering). 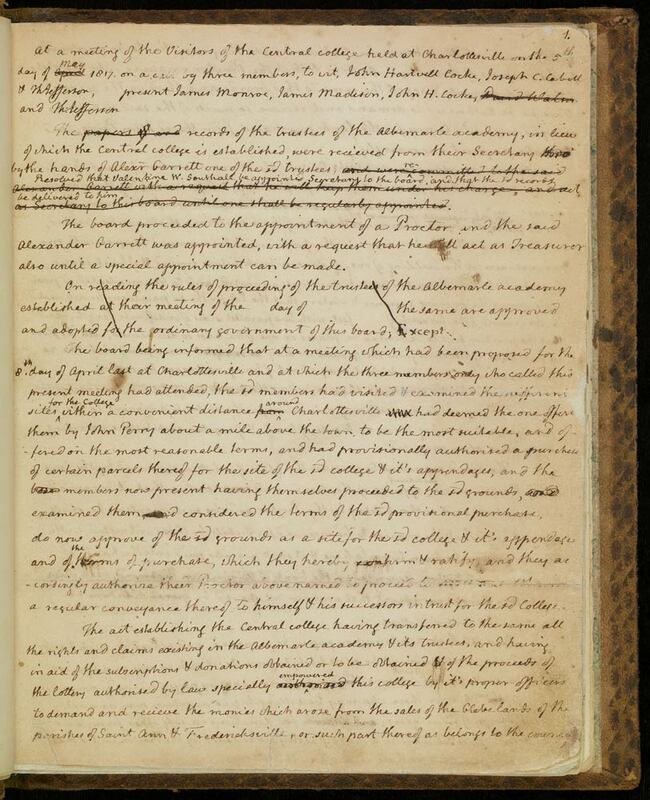 Jefferson took the minutes for that first meeting, during which the board approved the site for the college and the construction of Pavilion VII, and discussed early fundraising strategies, including one that involved a lottery. The Board might have been approving a different site had it not been for the ire of John Kelly, who owned land closer to town that was Jefferson’s first choice for the University’s location. Work progressed steadily on the site approved by the Board during their first meeting, and on January 25, 1819, the Commonwealth of Virginia granted a charter that established the University of Virginia. 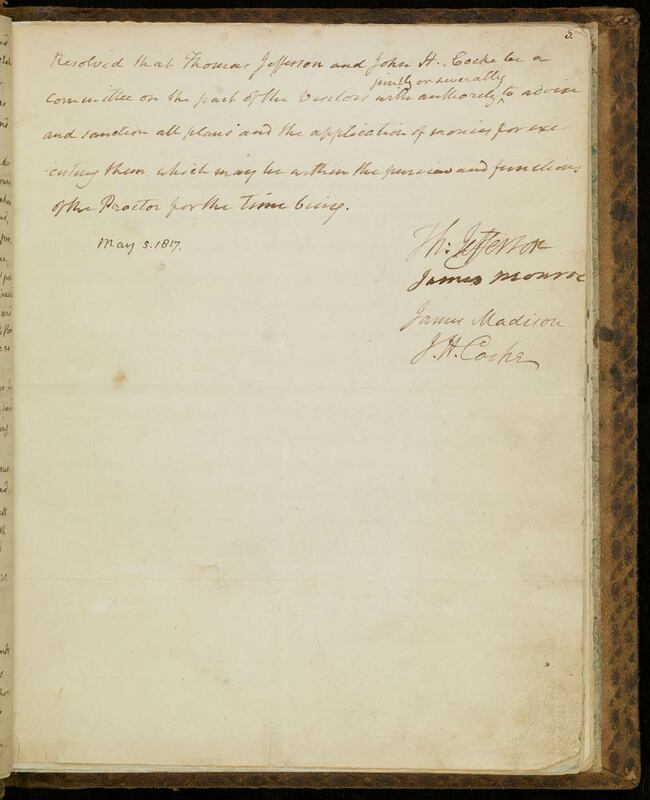 In March 1819, Thomas Jefferson was appointed the University’s first rector. 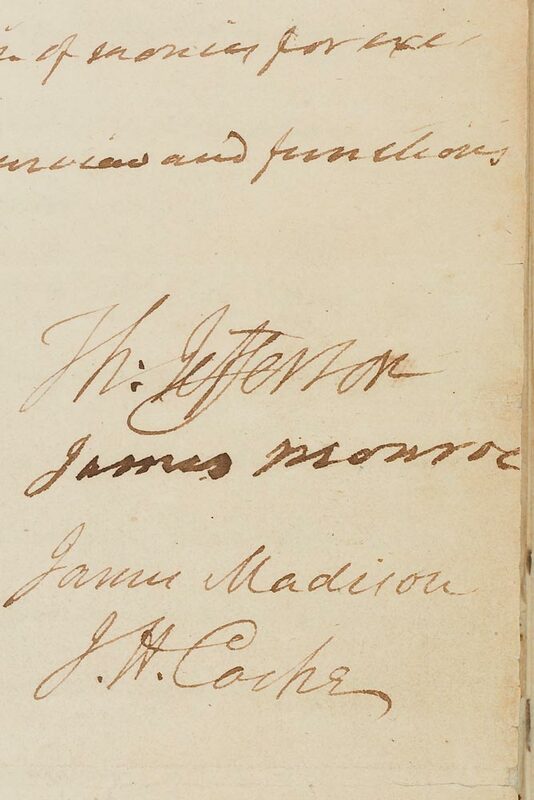 Just as he had during that first meeting of the Board of Visitors nine years earlier, Jefferson was attentive to every detail, remaining a dutiful note taker to the end. I had no idea how the first BOV meeting unfolded. And, the history of the site for UVA is fascinating.